Members, vacationers, guests and players of all ages and ability are welcomed. 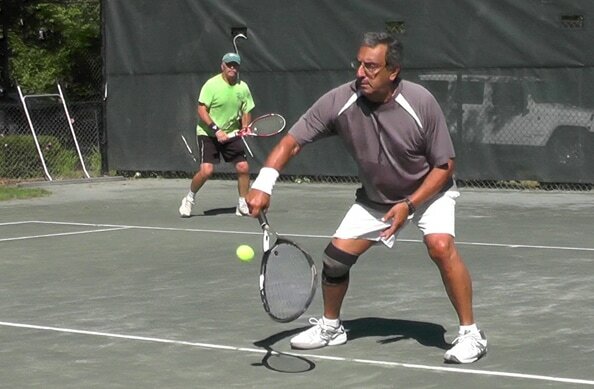 Whether you are a seasoned player looking for competition or a newcomer to the game and just learning to hit, there are many ways for you to play at South Yarmouth Tennis. Click here to see list of organized playing opportunities. 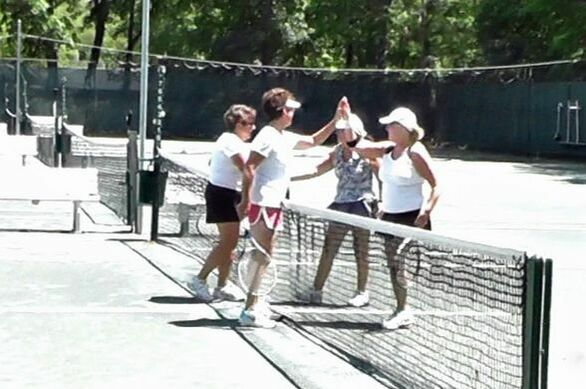 Court rental fees: $40 singles, $60 doubles; court rental players limited to a maximum of 5 plays per season. Reserve courts day of or up to 2 days before play. Call 508 398-2209 to reserve a court. Weekly memberships are now available up to a maximum of 4 weeks. Perfect for summer vacationers and players who may want to give SYTC a tryout before committing to a Full Season Membership. The Summer Pass is a Full Season Membership – for Individuals only - designed for players whose work or personal schedules restricts their availability for tennis primarily to late afternoons and weekends. The Summer Pass Membership includes unlimited play from 4:00 PM to dusk Monday through Friday and Noon to dusk Saturday and Sunday.